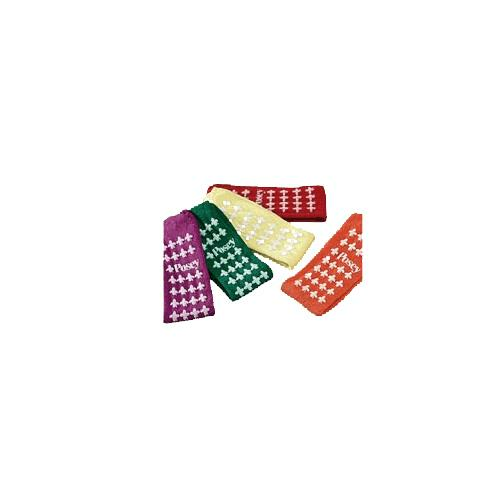 Posey Fall Management Socks are a cost effective way to provide non-skid footwear to a high fall risk patient. The soft terrycloth sock provides comfort and warmth, while the slip-resistant rubber tread provides traction for ambulation and walking. The slip-resistant tread is printed on both the top and bottom of the sock.